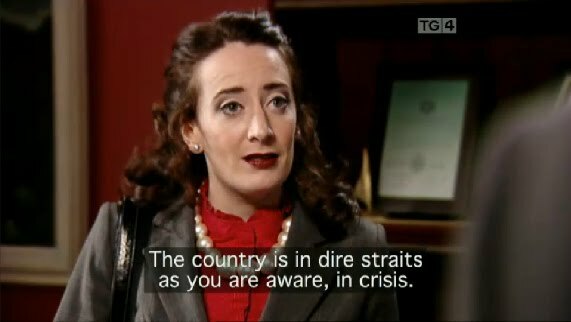 An Crisis is a new comedy series from TG4, Ireland's most interesting television station that you can watch for free on-line--click here to do that. 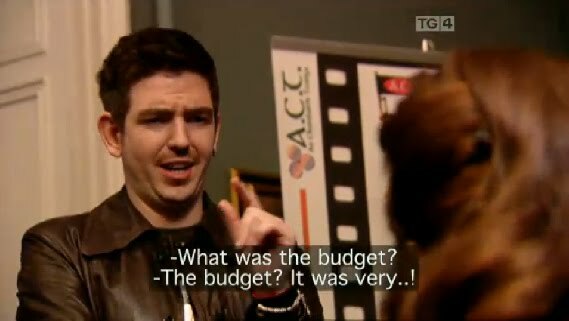 It's a satire that hits the bull's eye with a concept that lets a cast of great talents take the piss out of Ireland's economic and identity crisis from an arts and language office on the budgetary cutting block in Dublin. 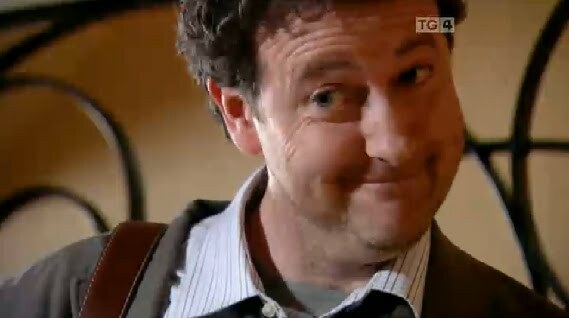 "All" the dialects and languages of Ireland are used in this show to create a linguistic atmosphere full of puns, rhymes and jokes that cross borders and taboos unique to Ireland. 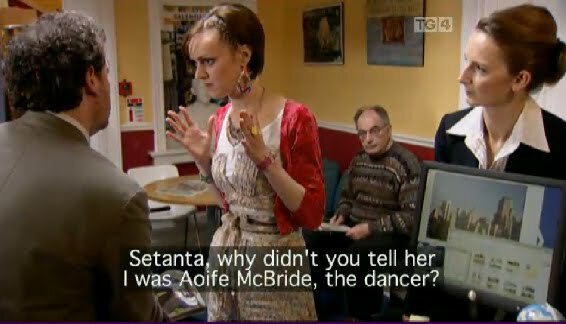 The writer Antaine Ó Flatharta began his career at the Abbey Theatre, and has uncanny skill at having the various languages spoken on the island hash it out in the one place. Irish is the language that gave Irish writers leverage, so to speak, on English, to bend it, and abuse at whim and will. 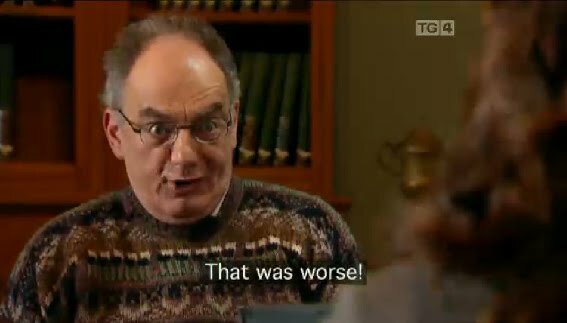 This show has packed that dynamism into the one show, using bi-lingualism, emphasizing the Irish language, to express and ridicule the Irish condition. In Irish, self-mocking seems healthier than it manifests in English, where the language preserves attitudes towards Irish accents that subject the inward-looking into a public display glibly misunderstood and miscategorized by the larger English world. Episode one introduces us to main players and some of the characters who pop into the Georgian townhouse where ACT has its office for the promotion of Irish. Setanta is the curly-haired acting head. Act being the key word and his shtick. While waffling on as Gaeilge about a shite film his nephew was paid 60,000 euro to make in Irish--knowing none, the nephew took the money, and made a silent film instead (fíor-cliste, go deimhin)--Setanta shows us his heroic appellation is something less than serious. An Crisis is playing with fire here. Yet, Irish language media is confident enough and has proven itself to such a high standard, that it can safely as it were mock a media grant like this. We know that Irish language media grants have produced--in a short decade--a body of work that is re-defining Irishness in a much more integral way than is the normal crop of crap. The Damocles sword hanging over the office is the economic crisis that has indebted Irish people 100 billion euro to the banks. Targeting a 60,000 euro film begins what will be a brutal scathing, over a long series, of those who have wasted the Celtic Tiger's treasure. In this way, An Crisis is an opportunity to not just keep the tiny Irish language budget under scrutiny and make it more effective, but a chance to excoriate the international banking elites that have raped Ireland in an old imperial pricing scheme that uses debt to steal a nation's resources as repayment.